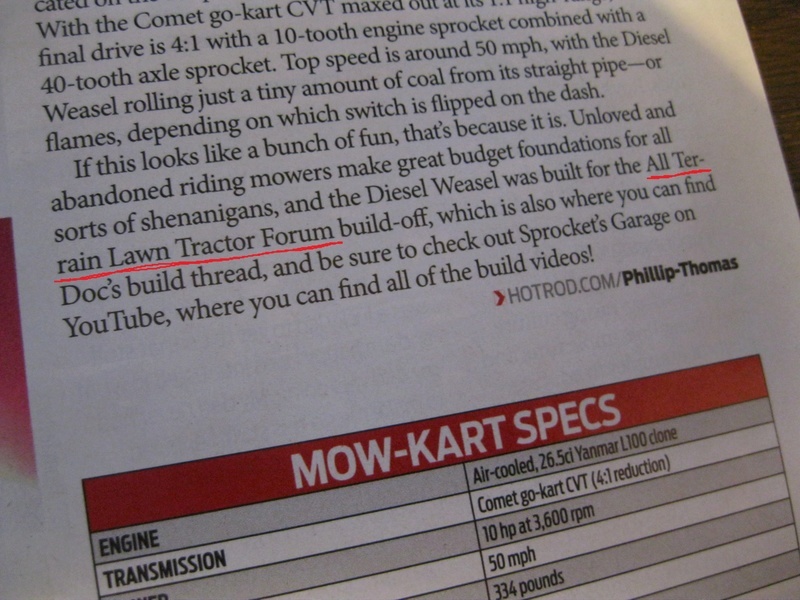 ATLTF and doc sprocket in Hot Rod magazine! Finally found Doc Sprockets Diesel build off machine in the June 2017 issue of Hot Rod magazine! They did a pretty nice write up about it and ATLTF got a mention too. Congrats Doc, that's pretty neat. 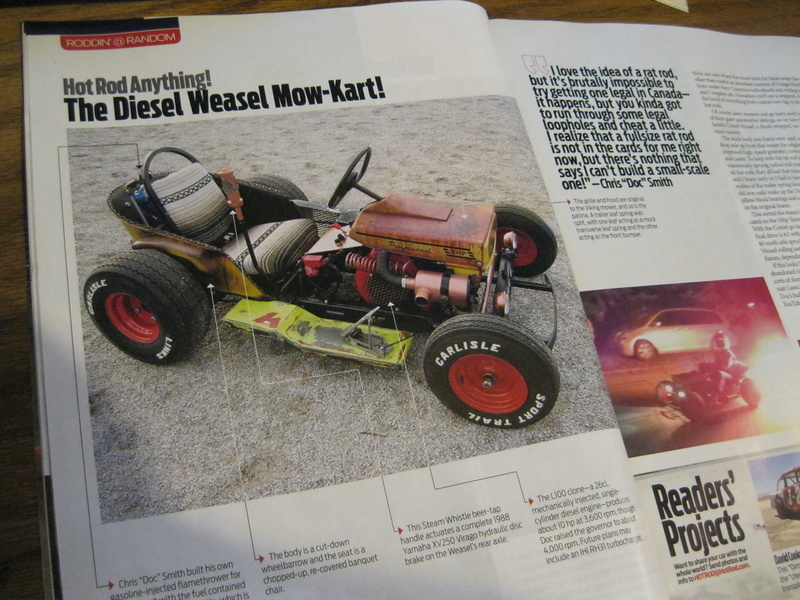 Yeah I've seen the online articles but a magazine article about the ol' Weasel is too cool! 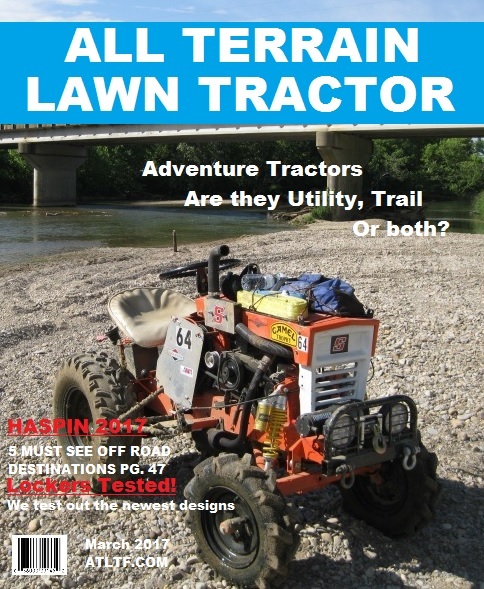 Not many people can say they got their lawn tractor in Hot Rod magazine! Hahaha. Congradulations Doc! By the way, love the ATLTF mag mr.mod hahaha!